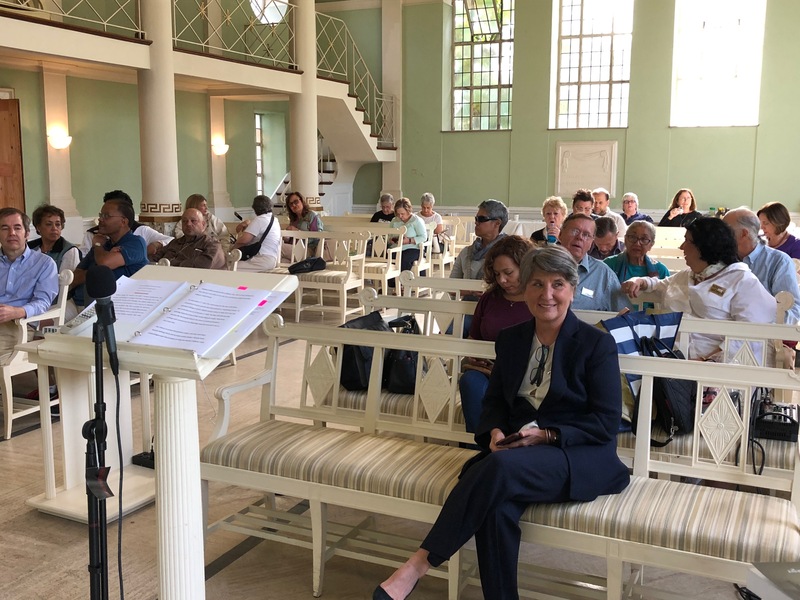 We could start with the eeriness of being invited to speak at an “Author’s Talk & Tea” at Woodlawn Cemetery and Conservancy on my late mother’s birthday. If you’d known her, it wouldn’t be much of a stretch to think she wanted to ensure she would be in my thoughts on October 22nd. 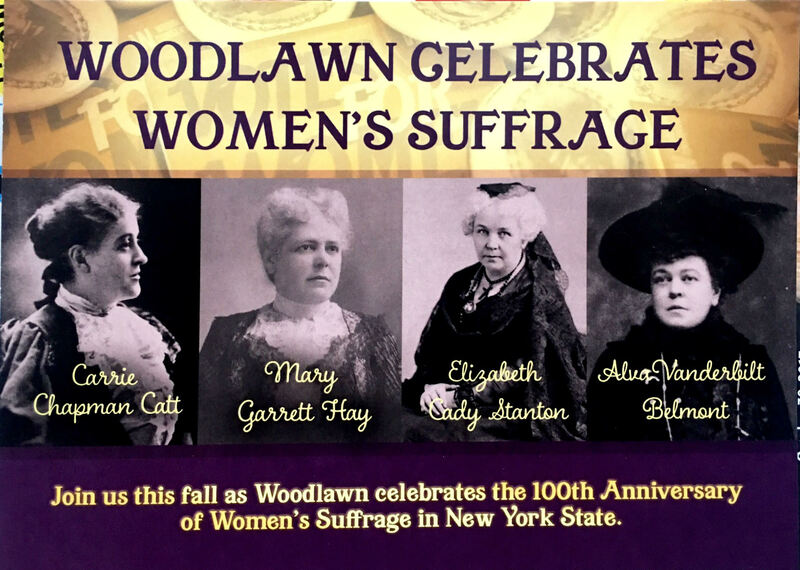 And we could add that Woodlawn just happens to be hosting a mini-series on the women’s suffrage movement, given how many of its leaders and benefactors—think Carrie Chapman Catt and Alva Vanderbilt Belmont—are buried on its lush grounds. 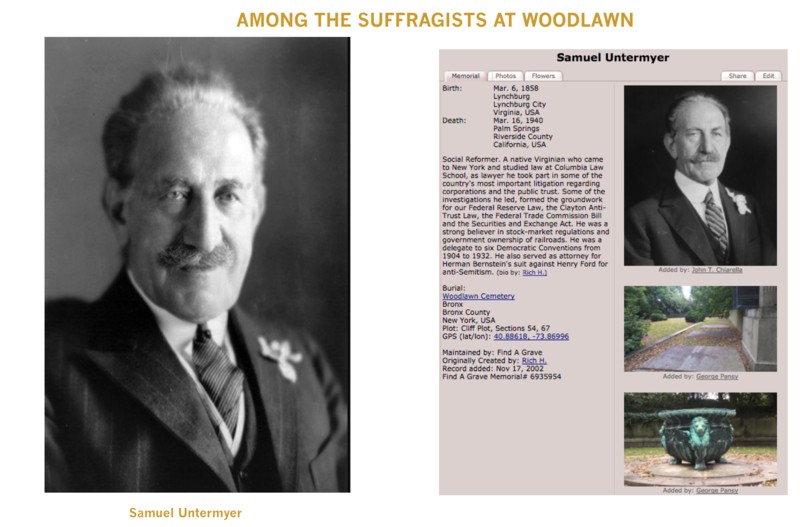 Turns out a number of the men associated with the suffrage movement are also on site: among them, Samuel Untermyer, John Purroy Mitchel, Finley Peter Dunne, and David Mannes. 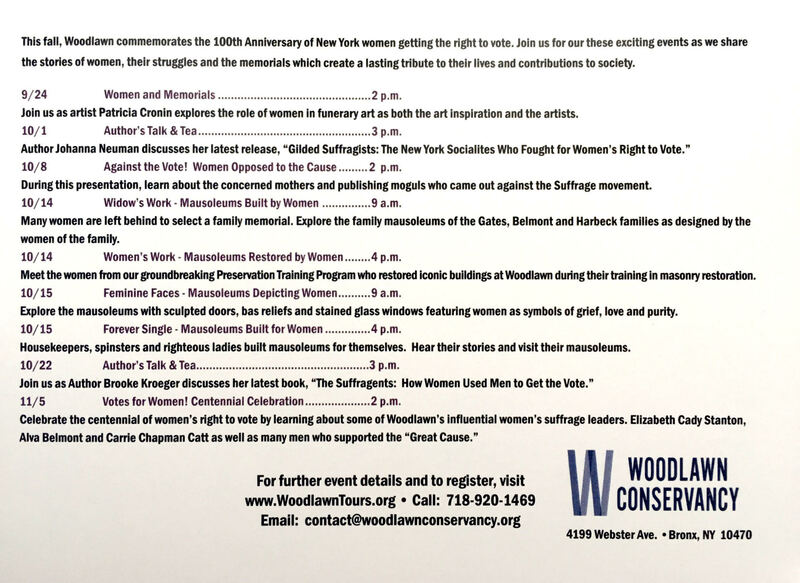 [LATERGRAM: “Woodlawn’s Suffragents,” a similar rundown by the conservancy’s historian on the Woodlawn site and posted here, too, for good measure.]. 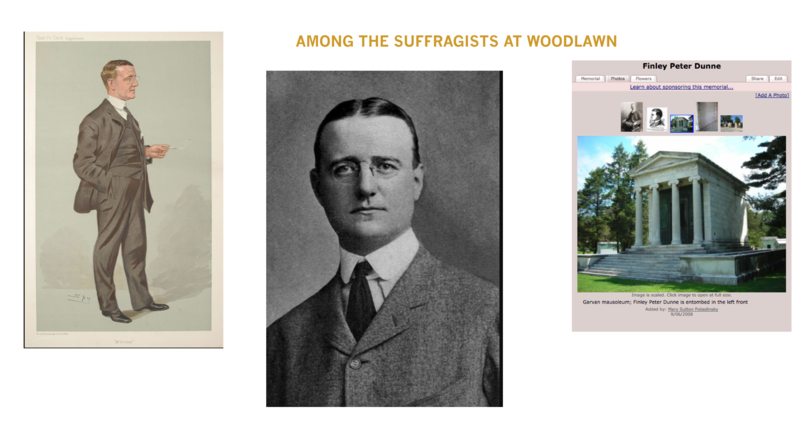 Why Dunne is buried in the tomb of his friend Francis Garvan, I do not know but the Chicago political satirist and humorist was a great friend of the suffrage movement. I especially like the “Mr. 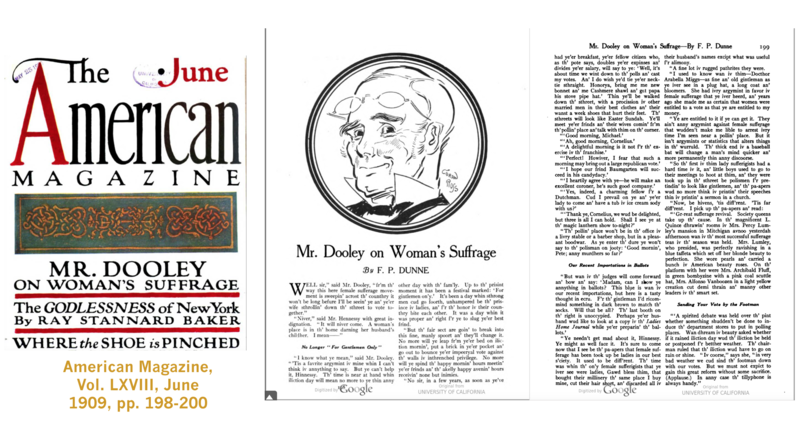 Dooley” piece he wrote for American Magazine as the “society queens” took up the suffrage cause. He had them wondering if their favorite department store would install voting booths or if they could send their footmen in to do their duty on rainy days or if they could phone in their ballots. 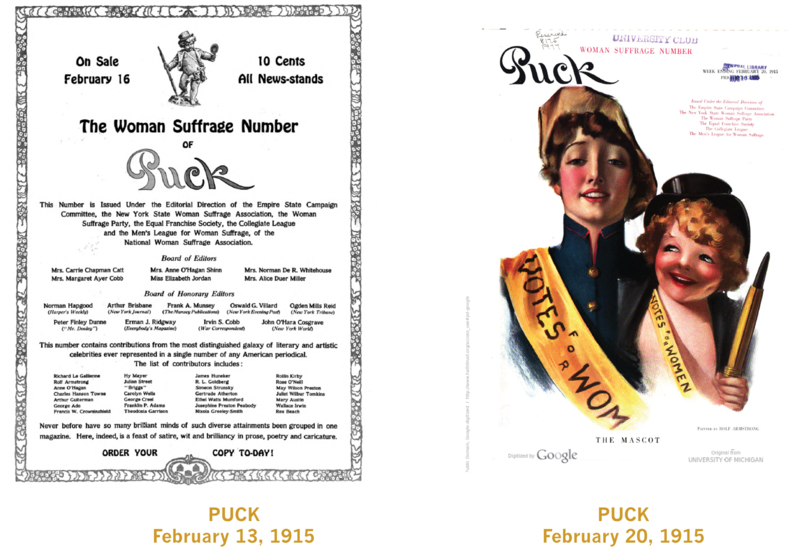 When Puck, the humor and satire magazine, published a full issue devoted to suffrage in advance of the failed 1915 referendum vote in New York State, the juggernaut of an editorial board overseeing the issue included Dunne. 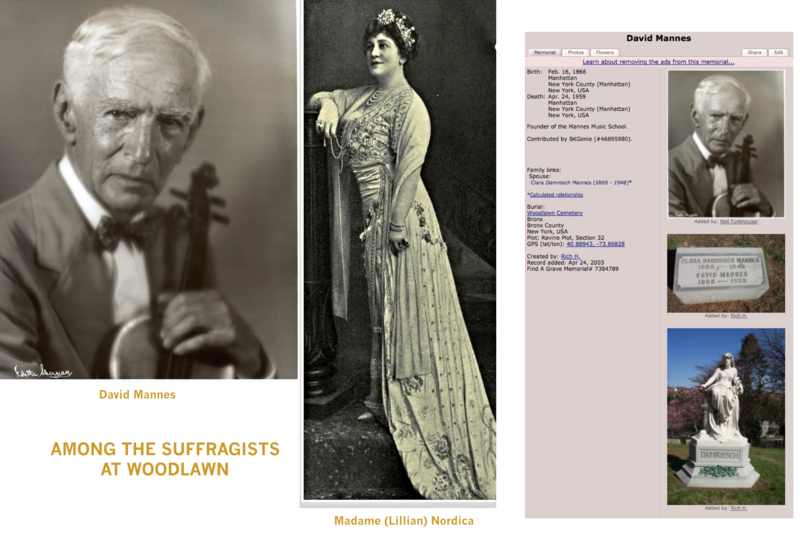 Mannes, didn’t make the The Suffragents, though I did find reference to his appearance at Carnegie Hall on a bill with Theodore Roosevelt, conducting an all-woman orchestra at a suffrage gathering. Another Woodlawn connection: the Mannes College of Music is where my daughter, Brett Kroeger, did her graduate work in vocal performance. Well-taught. “Take a listen,” as they say so annoyingly on cable TV. This is from the April 2017 production of HMS Pinafore by Troupers Light Opera at the Wall Street Theater in Norwalk, Connecticut. 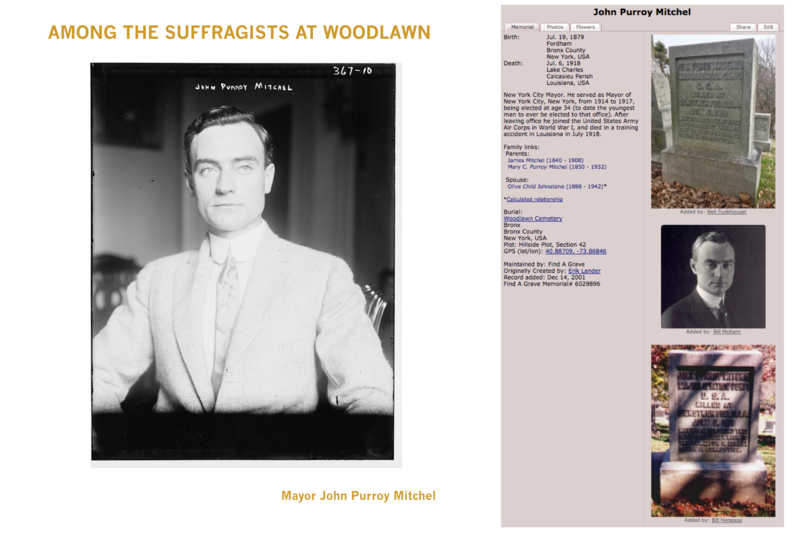 And John Purroy MItchel, who was mayor for a good part of the last decade of the New York battle, was pro-suffrage but careful about it in the way of so many politicians. 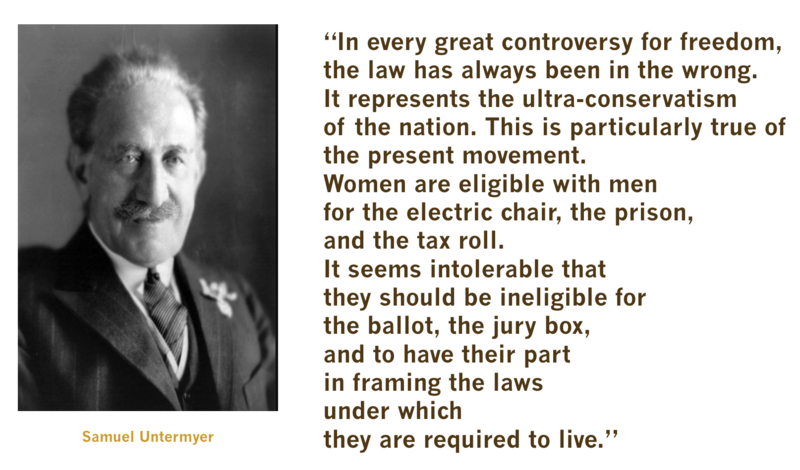 One episode at Carnegie Hall stands out: when he told a suffrage gathering that women would not get the vote until all the women wanted it. Organizers told reporters that the speech seemed to have been crafted a century earlier. 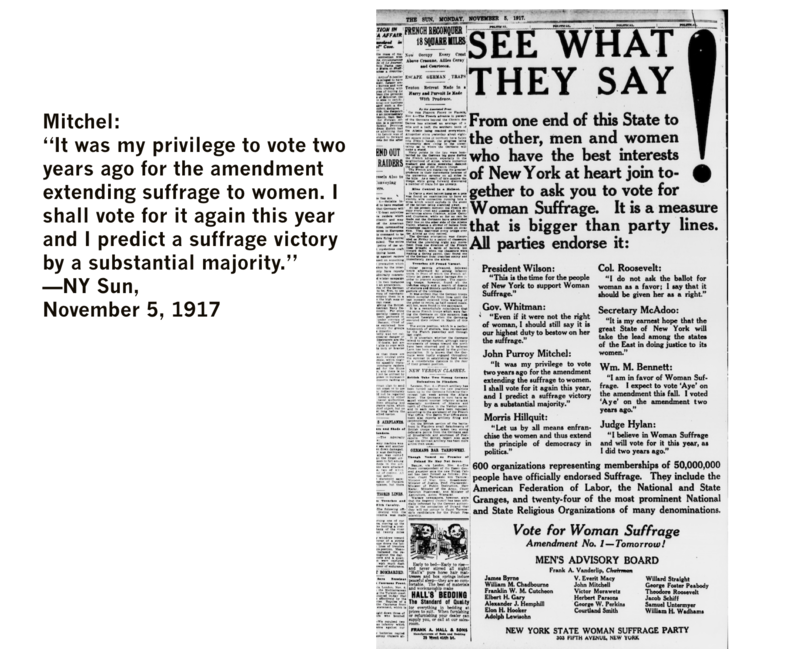 Nonetheless, in the run-up to the 1917 referendum vote, when victory seemed within grasp, he added his name with other major political figures to a newspaper ad that had wide circulation in the days before the vote. 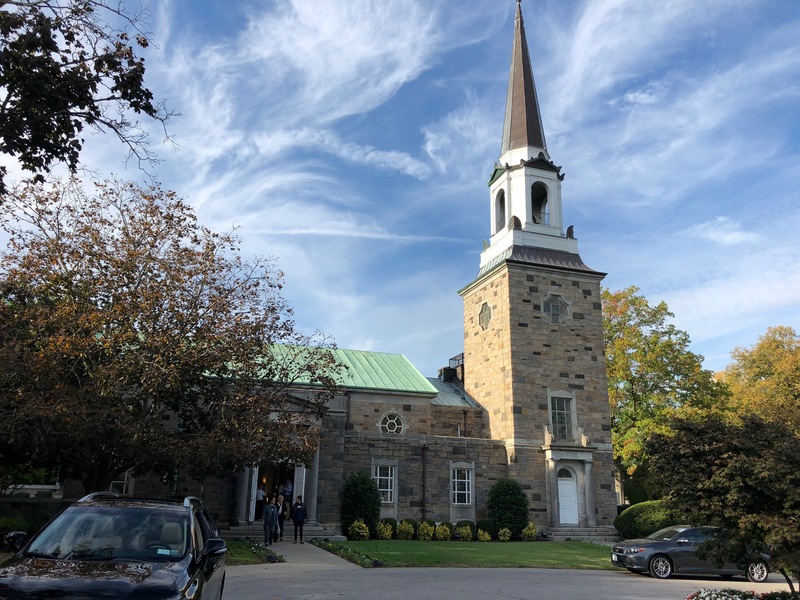 The weather was extraordinary on Sunday and I had to wonder how many people would be willing to sacrifice the hour from 3pm to 4pm inside lovely Woolworth Chapel. 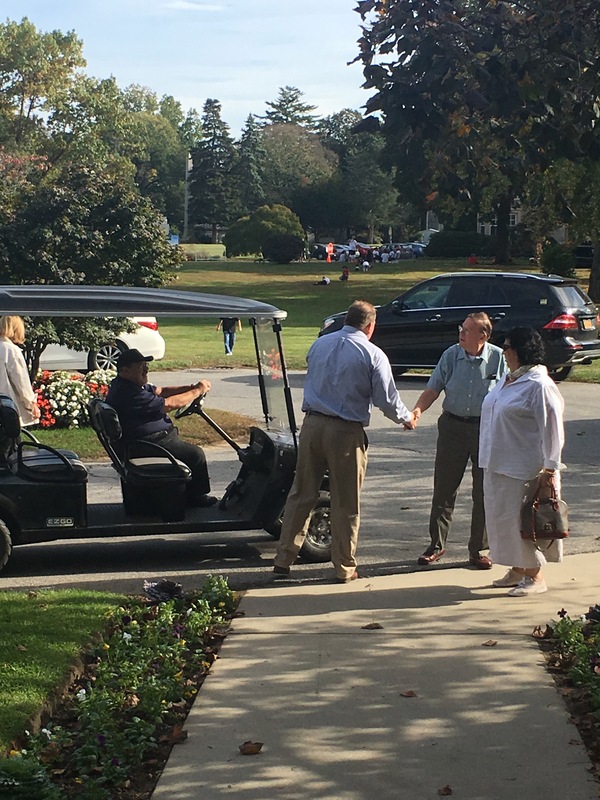 The temptation to stay outdoors was great, no doubt, and outside the scene outside the chapel doors had a Central Park-like feel, so many people were strolling the grounds. Note there were a number of men in attendance. Here’s a shot as the attendees were starting to gather. I spoke for half an hour and the questions were so astute. 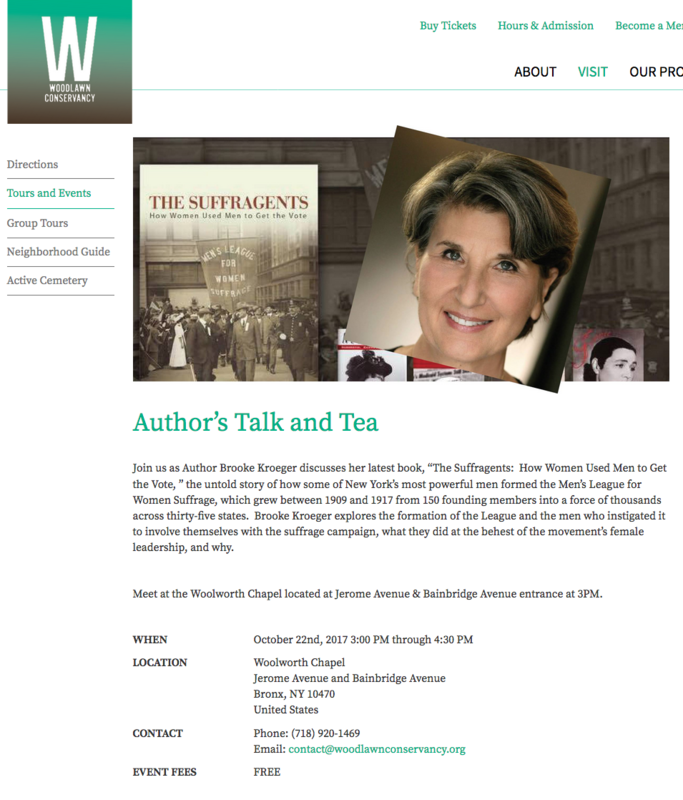 Many in the group were present earlier in the month when Johanna Neuman presented on her new book, the Gilded Suffragists—what I like to call the “Tweedle-dee” to my “Tweedle-dum.” Many of Johanna’s subjects were the wives of the Men’s Leaguers or at least in their wider social net. Amazon sells the two books from different publishers as if they were a twinset. 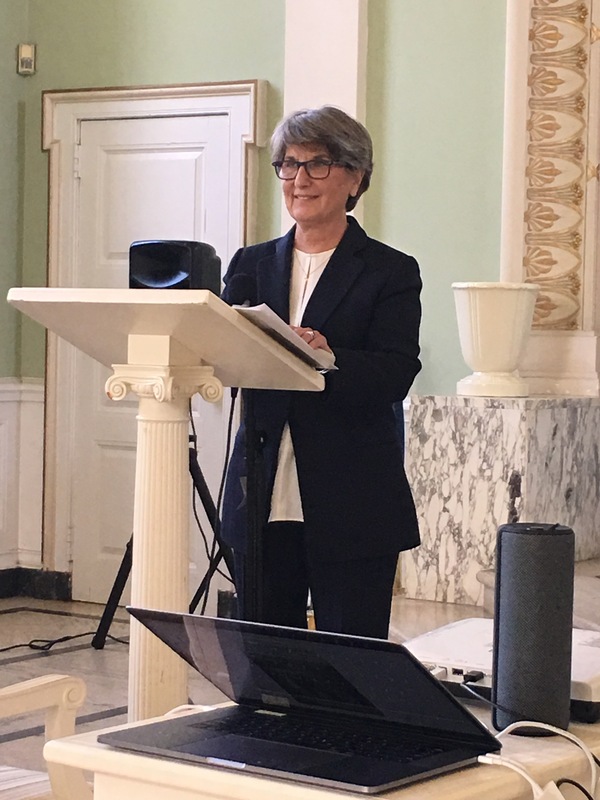 The Woodlawn historian, the wonderful Susan Olsen, and her crew, had Votes for Women buttons on hand, guide maps to where the suffragists lie, and she offered the guests a very high tea. 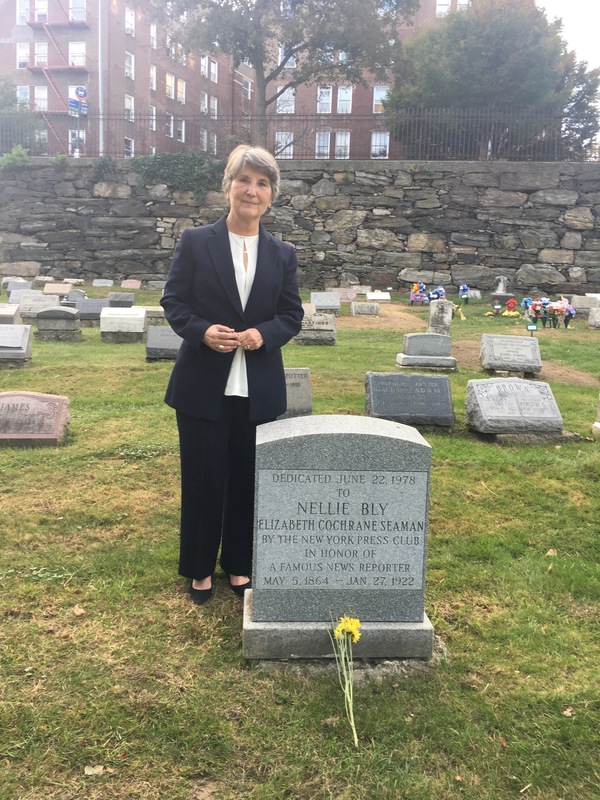 After the talk, she took us to see the grave site of Elizabeth Cochrane Seaman, aka Nellie Bly, the subject of my first book. Bly’s grave went unmarked for nearly half a century. Remembering that got me wondering who signed for her burial. She was in her late 50s when she died, did she already have the plot? Susan is going to check the records and I’ll update this when I know. Here’s a shot of my moment of homage. 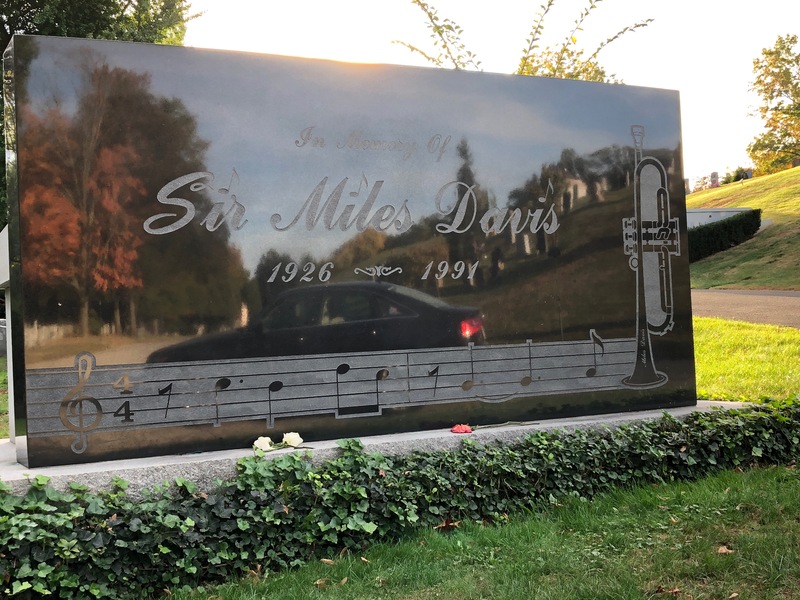 We stopped by Carrie Chapman Catt’s final resting place and around the bend met up with Duke Ellington, Miles Davis, Lionel Hampton, and Jean-Baptiste Illinois Jacquet.